City Bus is bus services between different parts of a city or town. They are usually stops every bus stops unless stated. Traveling using city bus make you closer to the life of the peoples at that area. I would like to travel from Bangsar Shopping Centre to Ikea, Ikano Huset, Mutiara Damansara, Petaling Jaya. What bus do I take from Bangsar Shopping Centre area? You can use RapidKL U87 to Bangsar LRT Station, then go towards direction heading to Kerinchi (not KL) for RapidKL U88 to Mutiara Damansara. 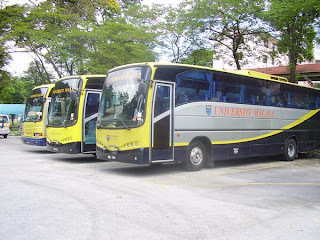 Hi i would like to travel from USJ 11 to KL,which bus should i take? You can go to Persiaran Tujuan near to SMK USJ 12 and use Metrobus 13 or RapidKL U67 to Kuala Lumpur. 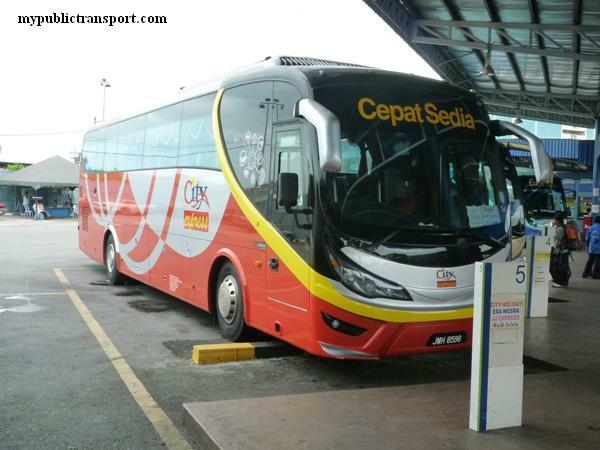 Any bus to Subang Hi-Tech Industrial Park from Kota Damansara? Hi, I want to go to Putrajaya Sentral Station from Presint 11? I don't know which bus to take. From Puchong you need to use RapidKL u43 to Kelana Jaya LRT station, then use free shuttle bus provided by Tropicana City Mall. From which bus station of puchong can take u43? Why the Bus 180 route diffrence from the actual, the drive didnot go to Taman desa Harmoni? 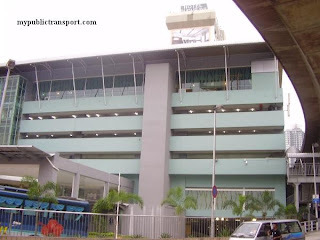 How to go to Sunway giza from Bandar Tasik Selatan Terminal? You can use LRT from BTS to Masjid Jamek, then change LRT to Kelana Jaya and use U89 to Sunway Giza Mall. from seberang temerloh to bandar temerloh ?? 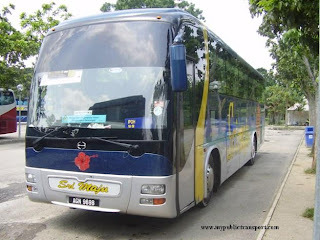 what bus can i take to bukit indah jusco from pontian and how to go back yo pontian?? You can use RapidKL U82 from KL Sentral and inform the driver to stop you near TCM. 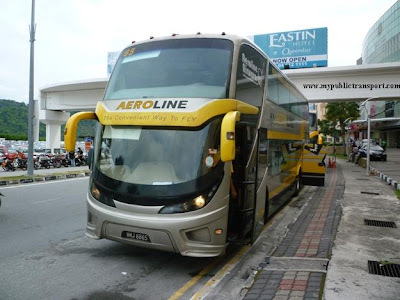 hi, can i ask the bus to stop at petronas puchong gateway? can i ask how to go segi college damansara from titiwangsa ? You can use Monorail to KL Sentral, then walk to Mobil for RapidKL U88 or Metrobus 99 to Segi College Kota Damansara. May i know how to get to ioi mall from subang jaya?Specifically if i am from usj6. You can use RapidKL U67 or Metrobus 13 to Mid Valley, then cross opposite and use RapidKL U60, U69 or U70 to IOI Mall. hi, may i know how to go this address from pasar seni? 46000 Petaling Jaya, Selangor, Malaysia. You can use RapidKL U68. i like to go to puchong gateway from LCCT, what bus should I take? To save money and time, the best way is use KLIA transit to Putrajaya, then use taxi to Puchong Gateway. How does one travel from Connaught Avenue, Tmn Len Seng to KLCC? You can use RapidKL U40, U45 or U46 from Jalan Cheras to Bukit Bintang, then use the cover walk way from Pavillion to KLCC. hie everyone...how can i travel from jalan puchong taman kinrara to klcc or jalan kia peng or jalan pinang/ampang?can someone please guide me here? and from there do i travel back using the same route in reverse? You can use RapidKL U60, U69 or U70 to Pasar Seni, then use GO KL free bus to KLCC, Jalan Ampang and Jalan Kia Peng. Using the KTM from Seremban, what's the best way to get to Puchong Gateway? You can use KTM to Serdang station, then use RapidKL U432 to Putra Permai. Last, use taxi to Puchong Gateway. how to get from KLCC to Connaught Avenue? 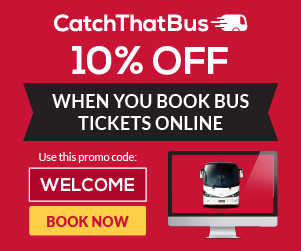 is there any bus after 10pm? You can walk to Bukit Bintang using the cover walkway, then use RapidKL U45 or U47 to Jalan Cheras near Connaught Avenue. 10.30pm should be the last trip so I afraid you may not make up on time if you come out slightly late from KLCC. So the alternative is using LRT to Salak Selatan (Transit at Masjid Jamek), then use taxi to Connaught Avenue. hi. from shah alam how do I get to tropicana city mall ? You can use RapidKL U80 to Asia Jaya (Federal Highway), then from Asia Jaya LRT station, use LRT to Kelana Jaya. Last, use free shuttle bus to TCM. You can use U90 from Shah Alam bus terminal or Seranas Bas 19 from Klang Utara Bus station. Hello there, I found your website is so helpful. I have lots of question but let me do it one by one and ask the others later. Is there bus service (RapidKL) to Public Bank Taman Connaught at Jalan Cerdas from Maluri hub station? Hi, thanks for the compliment. You can use LRT from Maluri to Tasik Selatan, then use RapidKL T408 to Public Bank Taman Connaught. You can also use RapidKL U40 to Taman Segar Bus Hub, then use RapidKL T408 to Public Bank Taman Connaught. T408 will stop very near to the bank so you no need to walk much. Thank you very much for the info. Really helpful for me. Before this I planned to use the first method using LRT then use T408, but I found it's difficult to cross over to Public Bank Taman Connaught. I didn't even expect there is other alternative way that is more convenient. Thanks again, will ask another question later. 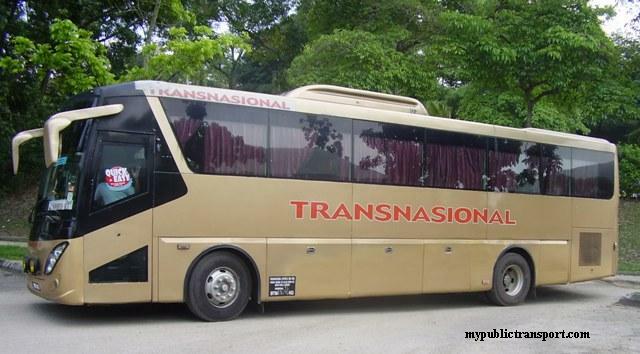 You can use Nadi Putra bus 200,300,500,600 or 700 to Putrajaya Sentral (Rm0.50), then use KLIA Transit to KL Sentral. Last use RapidKL U88 or Metrobus 99 to Ikea (Rm3.00). Hw long does it take to travel frm kl sentral to segi damansara using rapid kl U88. ?n hw much it cost? Hi , can i know how to back from tropicana city mall to lrt station at 10pm ? Btw , how to go ikea by public transport from any lrt station ? 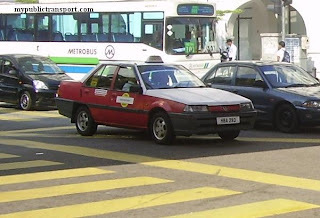 Hi you have to use taxi from TCM to LRT Station. To go to Ikea, you can use RapidKL U88/U89 or Metrobus 99. You can get U88/99 from All LRT Station starts from Pasar Seni to Taman Paramount. Hi, Can I know how to travel from kepong KTM to Subang Light Industrial Park ( Jln USJ Sentral 3)? Hi, you can use KTM to KL Sentral, then come out of KL Sentral to use RapidKL U63 to Summit USJ, then walk to USJ Sentral 3. No bus going into Setia Alam. The nearest would be using RapidKL U90 from Shah Alam bus terminal to Jalan Meru and stop near Starbucks. Hi, how can I go to Shah Alam Complex from Palm Spring, Kota Damansara? Thanks, I really need the direction by tomorrow. You can use KTM from Puchong to KL Sentral, then use RapidkL U60/U69/U70 to Tesco Puchong, then use RapidKL T506 to Puchong Jaya. Hi,can lead me to setia city mall from sunway pyramid? :) urgent for tomorrow. You can use RapidkL U62 from Sunway Pyramid to Shah ALam bus Terminal, then use RapidkL U90 to Jalan Meru, off Setia City Mall. Hey, may i know how to get to 1 mont kiara from sea park? You need to use RapidKL T626 to Taman Bahagia LRT Station, then use LRT to Masjid Jamek, then use RapidkL U7 to 1 Mont Kiara. Hi..can you tell me any bus to LRT station from Tropicana City Mall or SSTwo Mall on around 8:00 a.m ?? Urgent for tomorrow..
You can use RapidKL U85 or Metrobus 12 from SS2 to many of the LRT stations. You need to use taxi. i want to go to bangsar south city from kl sentral..can anyone tell me the best route..
You can use LRT from KL Sentral to Universiti station, then walk to Bangsar South or use RapidKL T632. You need to use taxi. No bus enter there. how to go to bursa malaysia from plaza rakyat station?is there any bus or i have to walk or ride taxi? It is very near from Plaza Rakyat, you can just walk over there. any bus go to wisma uoa II,changkat semantan, damansara...need your help! Hi, are you sure you area going to Wisma UOA 2 at Changkat Semantan? 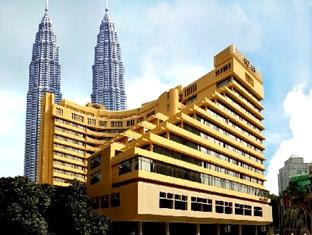 There is only Wisma UOA at Changkat Semantan, Wisma UOA 2 is near to KLCC. You can use RapidkL U82 or U83 from KL Sentral to Wisma UOA at Changkat Semantan. hi, i wanna go to setia city mall from chow kit area. Can you help me out? Thanks! Hi, you can use Monorail from Chow Kit to KL Sentral, then from KL Sentral, use RapidKL U80to Shah ALam Terminal, then use U90 to Setia ALam, and walk about 1.5km to Setia City Mall. Kalau darii sungai bulu nak pergi usj8 naik bas apa??? Once you reach Subang Jaya KTM Station, you can walk to Subang Parade and use RapidKL U67 to USJ 8. May I know which Rapid KL bus can be taken from Kinrara, Puchong to arrive at Assunta Hospital? TQ. Can I know which part of Kinrara are you from? Hi, you can walk to Jalan Puchong and use RapidKL U60, U69,or U70 to KL Sentral, then use RapidKL U75 to Assunta Hospital. Hi, which is the fastest and most convenient bus route from Jalan Bukit 11/2 Bus Stop to Brickfields Asia College at VSQ? Hi, please use RapidKL T629 from Bukit 11/2 to Brickfields Asia College at VSQ. I want to go to subang skypark via sunway pyramid. Is there any bus connecting this two places? Hi, you can use RapidKL U623 to Kelana Jaya LRT Station, then use KL City Airport Shuttle to Subang Airport. Hi, is there any bus from kl central to tropicana city mall/ damansara intan?? Hi, you can use LRT from KL Sentral to Kelana Jaya, then use the free shuttle to TCM. Actually you can also use RapidKL U82 from KL Sentral to Damansara Intan but you need to walk a long distance because there is no bus stop near the Mall. Hello whats the fastest way to go to asia jaya lrt from tropicana city mall and go back. Anf from tropicana city mall to ikea . Hi, you can use RapidkL T629 to Section 17 Petaling Jaya and walk to Tropicana City Mall and vice versa. From TCM, you can cross over to LDP and use RapidKL U88 or Metrobus 99 to Ikea. Hello , May I know which Rapid KL bus can be taken from Section 2 shah alam to arrive at Setia city mall? A.S.A.P , TQ. Hi, you can use RapidKL U429 from Putrajaya Sentral to cyrocord. Hi, you can use RapidKL T530 from Kota Kemuning to Sri Muda, then use RapidKL T528 to Shah ALam bus terminal. Hi, you can use RapidKL U90. Oh sorry, then you can use T428 from Cyberjaya Terminal to cyrocord new location. Hello, may I know which is better to travel from Bukit Jalil to Dataran Sunway, Kota Damansara? either BJ LRT > Pasar Seni taking public bus or BJ LRT interchange at Masjid Jamek > Kelana Jaya public bus or any route suggest? Time spend is the main concern, Thanks a lot. Hi, you can use LRT from Bukit Jalil to Asia Jaya (transit at Masjid Jamek), then use RapidKL U88 or Metrobus 99 to Dataran Sunway. How To Travel From Jusco Bukit Indah To Bandar Tenggara ? You can take Maju bus 27 to Jalan Skudai, then take Maju 229, Causeway Link 7B, 777, 777B, S&S 7, CityBus 13, Triton 509 to Kulai, Bandar Tenggara. 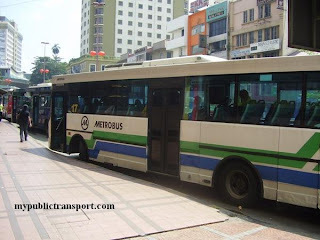 i would like to take a bus from puchong to putra height/usj..which bus should i take..?? please reply to me as soon as possible..because it's an emergency..
Hi, you can take RapidKL U60, U69, U70 or Metrobus 19,20,58 to Mid Valley, then take RapidKL U65 to Putra Height. Hello, I wish to know what bus should I take from Puchong ioi to get to this address - 2, Lorong Pendita 1, Taman Connaught,56000 Cheras, Kuala Lumpur, Malaysia. Hi, you can take RapidkL U60/U69/U70 to KL Sentral, then take KTM to Tasik Selatan station. Last, take T408 to Taman Connaught. Thanks for the previous info, helped a lot. 1 more question, how can i go from puchong ioi to this address - 23, jalan utara 46200 petaling jaya selangor, malaysia? Approximately how long will it take to reach there? 1. 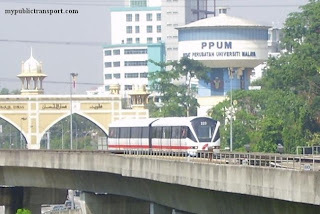 How can I get Puduraya or the any nearest LRT station from Ijok? 2. 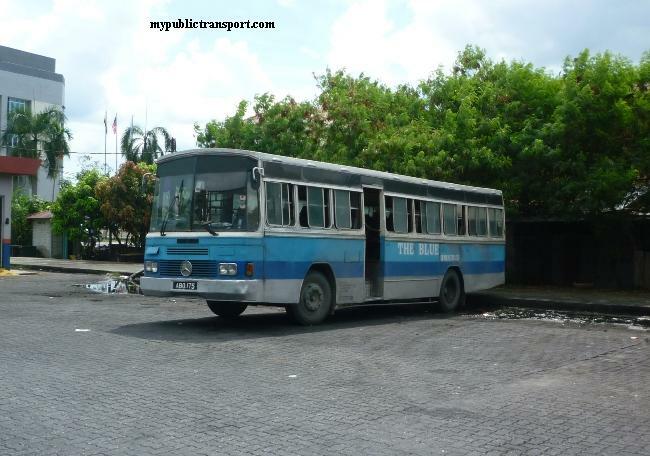 What time is the last bus scheduled on Fridays from ijok? Hi, you can take Selangor Bus 141 or 147 from Ijok to Rawang KTM Station or directly to Masjid Jamek. The last bus should be around 8pm. Hi, Thank you for the previous reply. 1. How can I get Puduraya or the any nearest KTM station from Batang Berjuntai? 2. What time is the last bus scheduled on Fridays from Batang Berjuntai and does the bus pass by at every bus stop at this area? 1. 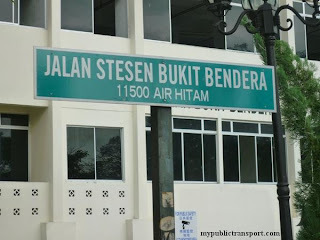 You can take Selangor Bus 147 from Batang Berjuntai to Puduraya. 2. Yes it stops along the journey to KL, the last bus should be 8pm. 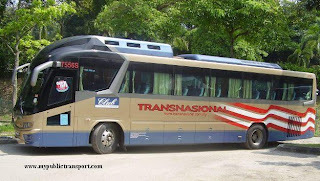 Bus 147 serve from KL to UNISEL, and passing through Ijok and Batang Berjuntai. Hi,you can take Airport City Shuttle to Kelana Jaya LRT station, then take taxi to O'Boutique Hotel. Hi, I wanted to go to Tesco Puchong from Bangsar shopping cetre, how should i go there? And approximately how long will it take? Hi, you can take U84 from BSC to Mid Valley, then go to bus stop opposite to Mid Valley KTM near Federal Highway and take Metrobus 19,20,21,58, RapidKL U60, U69, U70 to Tesco Puchong. Hi, I wanted to go to HealthLand at Jalan Cerdas Taman Connaught from sri penara bandar permaisuri cheras , how should i go there? Hi, I wana go to segi kota damansara from kepong?How can I get there using public transport? Hi, you can take RapidKL U86 from Kepong to Ikea, then take U88 to Segi Kota Damansara. Hi, you can take T408 from Taman Connaught to Tasek Selatan, then take KTM from Tasek Selatan to KL Sentral. From KL Sentral, take RapidKL U88 to Segi University. hi, i want to go setia city mall from pandan jaya.How i go and lrt station is 24 hour? Hi, you can take LRT from Pandan Jaya to KL Sentral(transit at Masjid Jamek). From KL Sentral take U80 to Shah Alam bus terminal. Last, take U90 from Shah Alam to Setia City Mall. The LRT station is not 24 hours. Hi I wanna know gow to go gateway kiaramas from paramount garden. Hi, you can take LRT from Paramount Garden to Masjid Jamek, then take RapidKL U7 to Jalan Kiara 3 and walk to Gateway Kiaramas. may i know ktm can go to setia city mall? Hi, you can take KTM to Klang, then walk to Klang bus terminal and take Seranas 19 to Setia City Mall. The mentioned way should be the fastest. Correction, Hi, if you mean Lorong Pandai 5 near Taman Connaught, you can take RapidKL T408 from Tasik Selatan LRT station. Any nearest lrt station to setia city mall shah alam from jalan masjid india? Hi, you can take RapidkL U80 from Pasar Seni to Shah Alam bus terminal, then take U90 to Setia City Mall. how am i going to ikea from putrajaya? Hi, you can take KLIA Transit to KL Sentral, then take RapidkL U88 or Metrobus 99 to Ikea. how to go to IOI Business Park from Subang Parade / Carrefour ? Hi, you can take RapidKL U76 from Subang Parade to Klang Lama, then take U60/U69/U70/ Metrobus 20/21/58 to IOI Business Park. hi,if i want to go to TTDI from KL sentral, how can i reach there? Hi, you can take RapidKL U82. Hello there, how can I get to One City USJ SkyPark from KJ lrt station via bus? Hi, you can take taxi because there is no bus to One City. What is the closest bus stop I get to one city skypark before I take the cab there? If you are from Kelana Jaya LRT, you can take U623 to Sunway Pyramid, then take U67 to USJ14 and take cab to One City. But I feel this is wasting time so maybe you can take cab directly from SUnway Pyramid or Kelana Jaya. How can I get to ikea mutiara damansara from cheras leisure mall? And normally how long does it takes? Hi, you can take RapidKL U40, U46,U47 to SInar Kota, then walk to Masjid Jamek LRT station and take LRT to Asia Jaya. From Asia Jaya, please walk to Jalan Utara to take RapidkL U88 or Metrobus 99 to Ikea. No. There is no KTM station near Damansara Mutiara. Kota Damansara from taman connaught? Hi, you can take RapidKL T408 from Taman Connaught to Tasik Selatan station, then take KTM to KL Sentral. From KL Sentral, take RapidKL U88 or Metrobus 99 to Jalan Teknologi. Hi, any bus from jusco bukit indah to JB city square?? Thank you so muh! Hi, you can take Maju 221. Hi, you can take RapidkL U80 from Universiti LRT to Shah Alam Terminal. Then take RapidkL U90 to Setia CIty Mall. 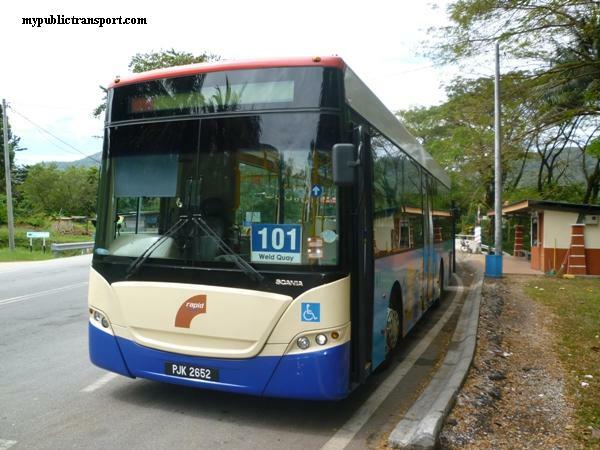 hi, i would like to know which city bus i need to take from butterwroth jeti to kulim? Which bus I have to take from Puchong to Bangsar South City? Hi, you can take Bus number 62. Hi, can I know which part of Puchong are you from? How want to go jusco bukit indah skudai from ulu tiram johor ? How want to go Bandar Tenggara Kulai From Jusco Bukit Indahh ? 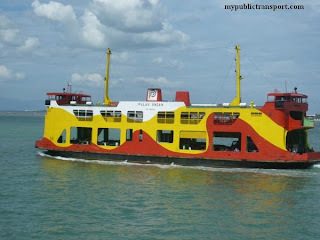 Hi, you can take Maju Bas 221 to Jalan Skudai, then take Causeway LInk 7B, 777, or Maju 229, or CityBus 13. Hi,how to go subang jaya from south city? and how to go midvalley from south city? May i know how to go klcc from loke yew? How to go jusco bukit indah from kulai ? And how to back to kulai from jusco bukit indah ? Thank you . Hi, you can take KTM from Serdang to KL Sentral, then change another line to Subang Jaya. From Loke Yew, you can take LRT from Chan Sow Lin to KLCC(transit at Masjid Jamek). Hi, it is the same of from Bukit Indah Jusco to Bandar Tenggara Kulai. how to go the mines from south city?which bas should i take?thanks! Hi, you can walk to Serdang KTM and take U41, U432, U411 to The Mines. Hi how to go midvalley from serdang?thanks. Hi, you can take KTM from Serdang to Mid Valley. 1. Take LRT to Masjid Jamek, then take RapidKL B115. 2. Take LRT to Kelana Jaya (transit at Masjid Jamek), then take T607 from Kelana Jaya to Citta Mall. 3. Take LRT to KL Sentral, then take RapidKL U83 to Plaza Damas. Hello . What bus can i take to go jusco bukit indah from kulai . Can tell me a detail about it. And how much it? Thanks . Hi, you can take Causeway LInk 7B, 777, or Maju 229, or CityBus 13.to Jalan Skudai, then take Maju Bas 221 to Bukit Indah. Hi is there bus travel from sri serdang to the mines?night time about 10+ got bus? Hi,yes you can take Rapidkl u416. Hello, I want to go Sunway Pyramid from Taman Connaught, how should I go there by bus? Hi, you can take RapidkL T408 from Taman Connaught to Tasik Selatan station, then take KTM from Tasik Selatan to KL Sentral. From KL Sentral, take RapidKL U63, U67, U76 to Sunway Pyramid. hi,which bus should i take if i want to go kampung padang che mas,baling from kedah,alor setar kaunter 1 terminal bus shahab perdana? Hi, im from Setiawangsa, i want to go to Skypark@One City, Subang Jaya. How should i go there by train and bus? Hi, you can take LRT from Setiawangsa to Kelana Jaya, then take RapidKL U623 to Sunway Pyramid. Last, take taxi to Skypark One City. Hi, you can take RapidKL U63, U67, Metrobus 10,13 to Kota Raya, then walk to Medan Pasar and take RapidKL U7. If you are from Puchong, you can take RapidkL U60, U69, U70 or Metrobus 20,21,58 to Kota Raya. U7 will bring you to Jalan Kiara 3, you need to walk from there to Gateway Kiaramas. I would like to know which bus I can take from Jalan puteri 2/2 to subang medical centre. Thank you.